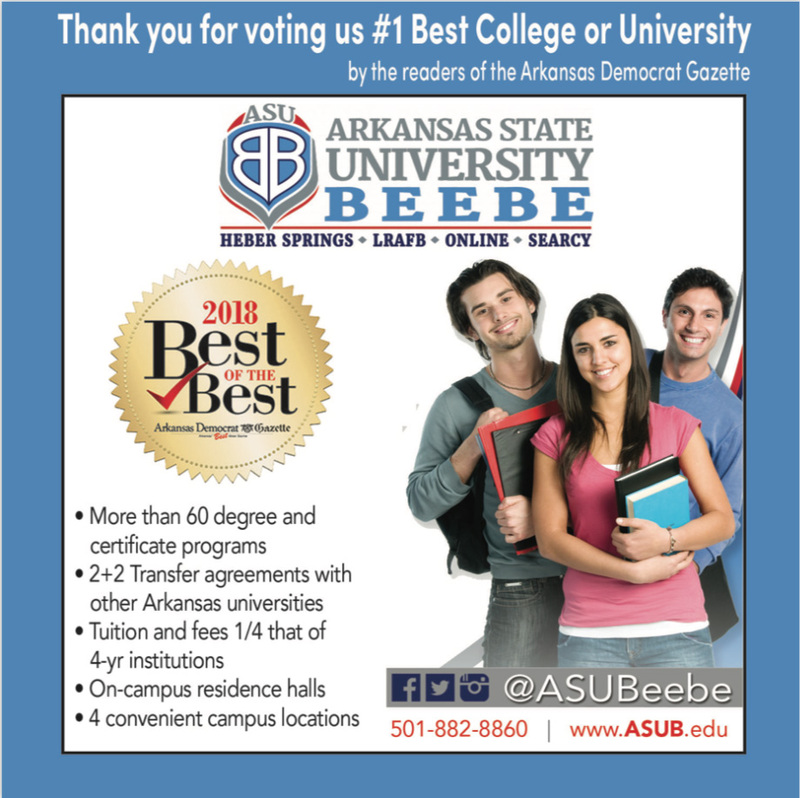 Arkansas State University-Beebe has been voted Best College or University in the 2018 Best of the Best Arkansas Democrat-Gazette’s readers’ poll. ASU-Beebe students, faculty, staff, alumni, retirees and area community members participated in the survey in September. ASU-Beebe was among five colleges nominated for the recognition.